YayYo is a startup that plans to be an aggregator for ride-hailing services like Uber and Lyft. It’s heavily marketing its IPO on television, and implying investors could make millions. The man on TV has well-coiffed gray hair and looks directly into the camera. Behind him, there’s a false backdrop of trading screens and skyscrapers. 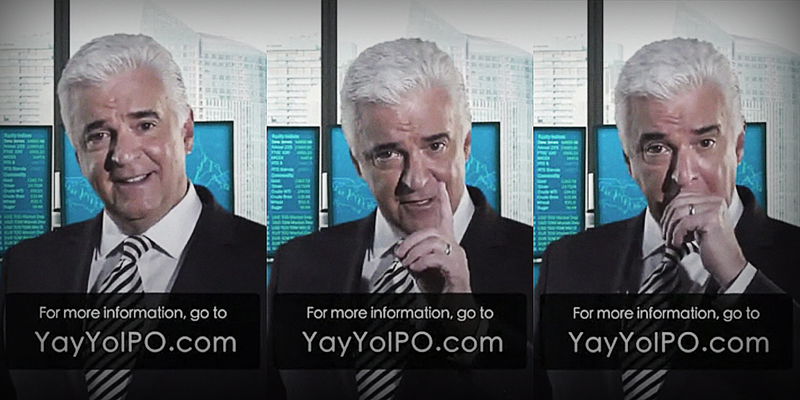 It’s an ad running on CNBC and Fox News for something called YayYo.